Download our 2018 Print in a Digital World trend report that contains over 70 Global, awarding-winning examples of Brands and Campaigns that are blurring the lines between print and digital. We are in an information revolution, powered by the intersection of two of the most powerful knowledge transfer mechanisms of our time – the Gutenberg Press and the Internet. The period in which we now live is unique, and we benefi t from the mixing and mingling of print and digital. In our constant pursuit of clicks, likes, subs, and retweets, successful Marketers look past solely digital content and develop fully-integrated campaigns to create an engaging, full-sensory experience for consumers. We have scoured the globe to highlight examples that will inspire you to find your own marketing nirvana. Download the report and enjoy the ride, things are about to get interesting. 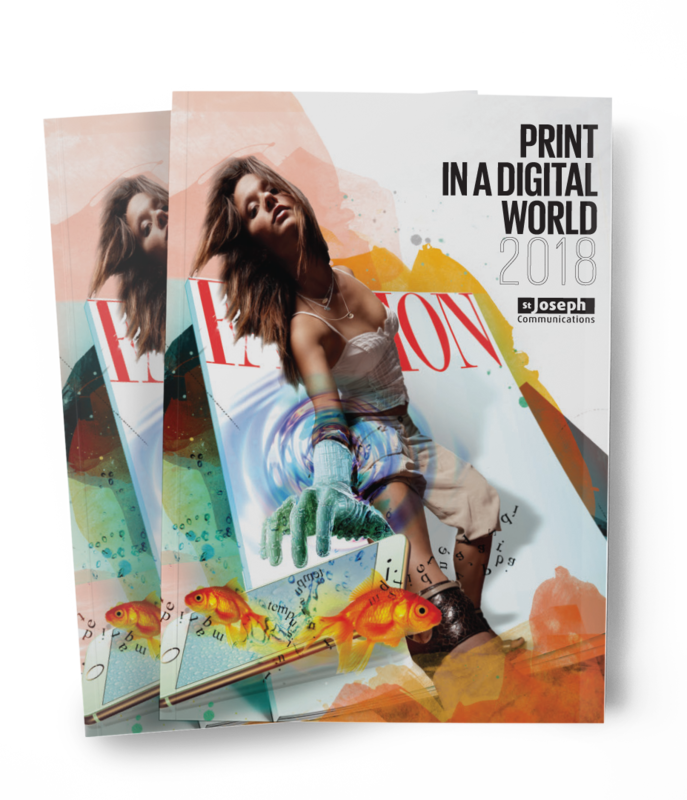 Our free 2018 Print in a Digital World trend report highlights over 70 global examplesof Brands pushing the boundaries of between our print and digital worlds.